Lecture and Book Signing with John B. Murray's "Contemporary Classical Architecture"
John B. Murray is a recognized leader in adapting classical design principles for contemporary life, creating elegant and gracious urban and country residences. His firm, John B. Murray Architect, is committed to a timeless aesthetic, a simplicity of form, and superb craftsmanship enriched by an inventive interpretation of classical details. 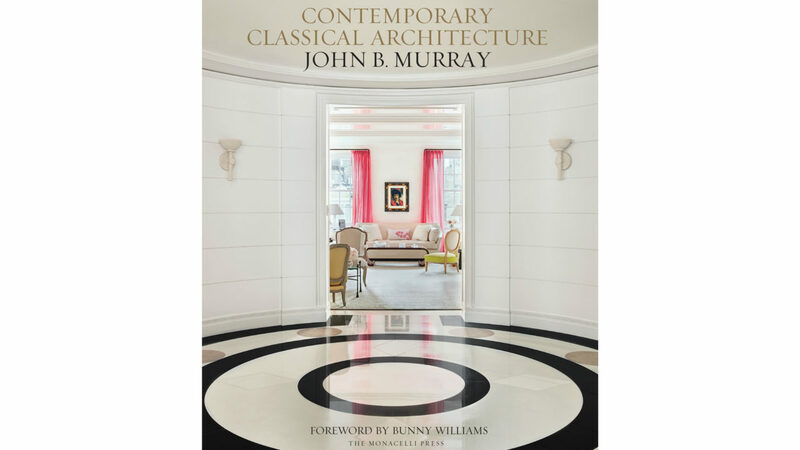 In Contemporary Classical Architecture, insightfully written by Elizabeth Heilman Brooke Murray, architect Murray reveals an extraordinary mastery of the classical vocabulary and a sensitivity to proportion and scale. Within that framework, he inserts the comforts of contemporary living in a way that is seamless and completely logical. The projects range from Fifth Avenue apartments with breathtaking terraces and Central Park views to adding on to a Greek Revival farmhouse in the Hudson Valley, a pristine neoclassical retreat in Dutchess County to the restoration of the President’s House at a New England university. CHCC Dress Code: No jeans, and no cell use, please.